It is with great pleasure that we at Goodbye Graffiti™ Inc. introduce Ms. Kendra Klemke as our new Senior Vice President of Sales. Prior to taking on this role Ms. Klemke was Vice President of Eastern Canadian Operations, working out of the Toronto West operation for the last two years. Before her promotion to Toronto as V.P. she was General Manager of the Vancouver Operation where she grew both the business and the team spirit with very positive changes and results in a short amount of time. Ms. Klemke’s operational experience and proven track record in sales make her the ideal selection for this role. As Vice President of Sales, Kendra will join Ashleen Hundle, our sales and administration manager, in the National Accounts Department. Kendra’s focus will be on the expansion of our brand and continued North American leadership in this category. We welcome Kendra back to our Head Office in Vancouver where she will build a stronger sales department and ensure we are a sales company first. 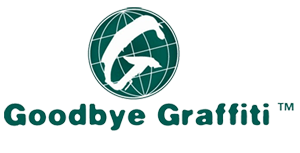 To contact Ms. Klemke directly email kklemke@goodbyegraffiti.com or call toll free at 1-877-684-4747. Any questions about the Company and this press release can be directed to Mrs. Amy Moscrop, Executive Assistant, at amoscrop@goodbyegraffiti.com or call toll free at 1-877-684-4747.